In the soft florescent light the high rows of wooden rafters seemed to glow. Long cords hung down from the ceiling branching off into hanging bundles of flashlights, casting their stronger light down onto the bar. They accented wooden signs of hiking symbols; stick-figured campground insignia and trail blazes. It all came together to give the brewery an outdoorsy character. “Ya’ know for me, I love just hanging out with the locals.” Nicole, my host and taproom extraordinaire spoke to me from behind the bar. “A real fun group of regulars,” she said with a smile. Nicole was no beer rookie. After spending some time working for the craft giant Stone she made her way over to Benchmark Brewing Company. I pressed her more on why she likes working for Benchmark and their brewing philosophy. My favorite part about Benchmark was their unapologetic attitude towards brewing. When dozens of breweries continue to pop up daily around the country, many with similar styles and trendy methods its hard to differentiate. Benchmark has made no effort to conform. Founded by Matt Akin in 2013 after his stint brewing for Alesmith, another California craft beer heavy hitter, Matt took some of his old recipes and started up Benchmark. With the help of his family the small brewery has soon grown into a neighborhood favorite. 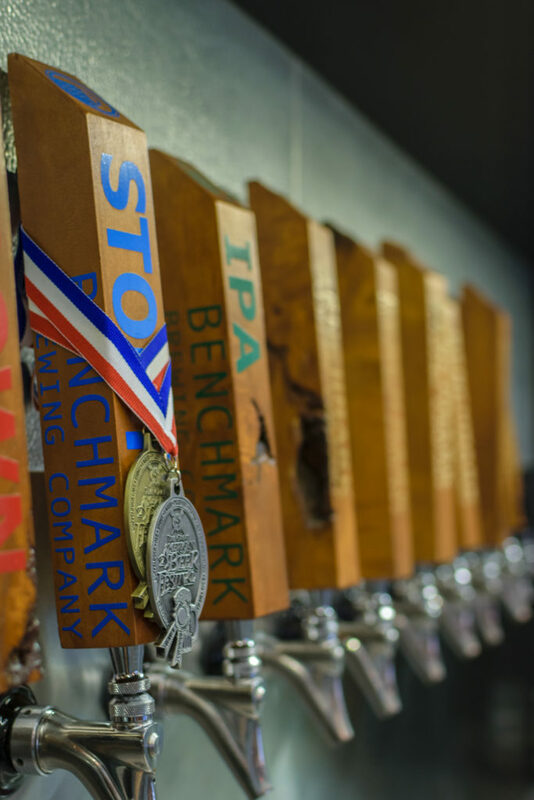 Benchmark and the Akins pride themselves on not searching high and low for the most exotic ingredients sourced from “the mountains of Djibouti or the chasms of the Pacific Ocean.” Benchmark’s lineup of brews are a solid collection of tried and true recipes tweaked to perfection. As I made my beer selection I noticed that unapologetic attitude filtered right into the beer names themselves. Where the craft beer world is saturated with names of brews that sound like they were thought up by Willy Wonka or Dr. Seuss, Benchmarks cut right to the point. With names like Brown Ale, Table Beer, and IPA you know exactly what you’re getting in each glass. 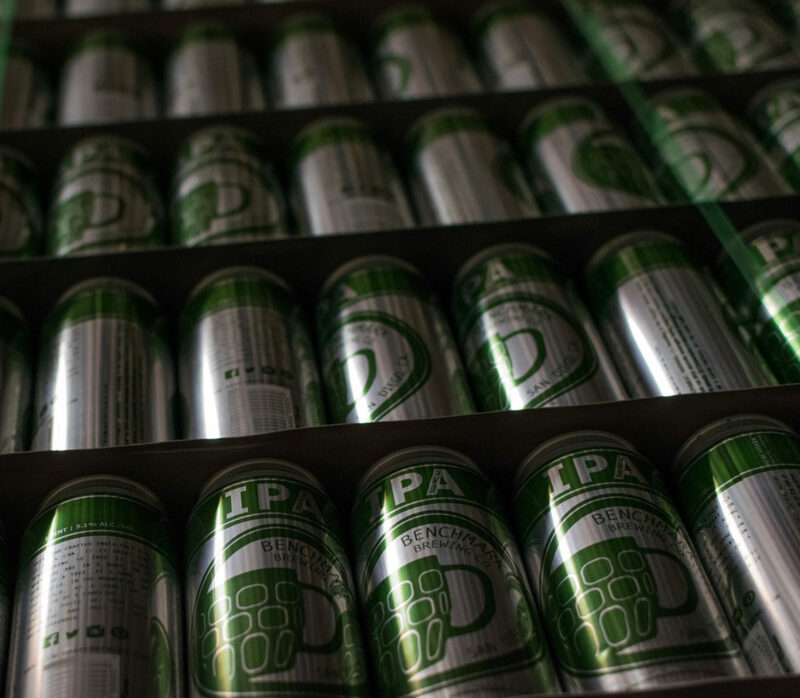 Benchmark forgoes flashy branding and trendy names and lets the beer speak for itself. This point was even more accentuated as Nicole poured me a glass of Oatmeal Stout. As she pulled the tap two Great American Beer Festival medals clinked together from around the handle. Roasty with chocolate and coffee overtones, Oatmeal Stout was creamy and full bodied. Totally deserving of both of its awards. 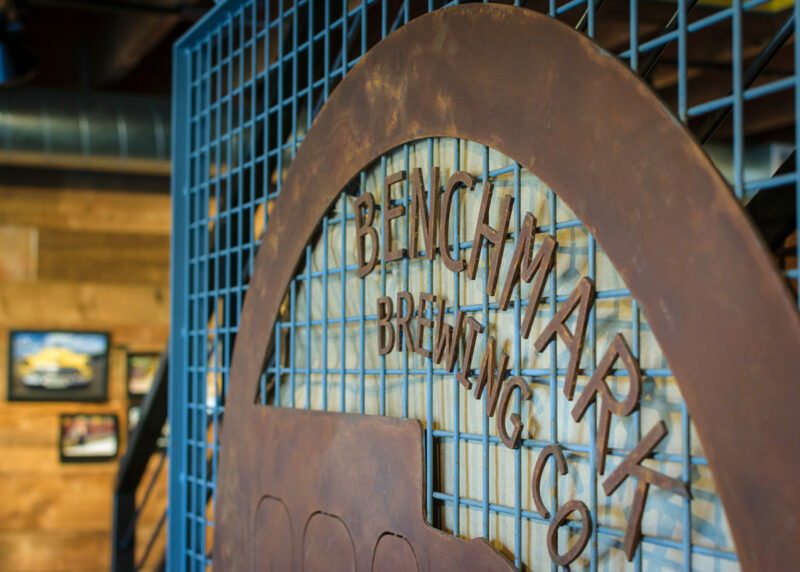 As an answer to Southern California’s obsession with the India Pale Ale, Benchmark has heeded the call with its own; IPA. Instead of reaching for astronomical IBUs Benchmark has focused on the beers balance and drinkability. Fresh and citrusy with pine and floral undertones, IPA is a beer to be enjoyed and accompanied by several more. Table Beer is a refreshing traditional Belgian. Fruity with notes of citrus, the brew finishes off with hints of pepper to make a sessionable beer perfect for pairing with almost any meal. For all its simplicity Benchmark still busts out some experimental and seasonal brews giving the brewery a chance to flex its creative muscles. Nicole was happy to sling me a glass of her latest favorite. “Here’s your damn stout.” she said with a laugh putting the dark beer down in front of me. I blinked twice before I realized that this was in fact the name of the brew. Here’s Your Damn Stout, a warm and smooth Imperial Stout was rich with chocolate and fruit flavor. Full bodied and with a 10% alcohol content I could see why it was popular. Part of Benchmark’s seasonal High Ground Series of beer, Here’s Your Damn Stout makes an appearance once yearly and Benchmark is kind enough to distribute it to some of its other favorite local haunts. Solid brews and weekly events keep the whole neighborhood happy. Saturdays Benchmark hosts community yoga sessions. Offering instruction to all levels for an hour followed by some wind down time in the taproom. Wednesdays are Local’s Night where anyone living within the surrounding zip codes get $2 pours on draft. At the end of the day I admired Benchmark’s ability to not reach for the craft beer limelight and just let their brews do the talking. Well rounded and full flavored I was an easy convert without the catchy names or hip advertising. Benchmark doesn’t try to be something its not it uses recipes built from passion and gradually perfected, a host of creations that set the mark.